Your company converted to a cash balance plan or you just landed a position and will fall under a cash balance plan as part of your benefits package. What is it and should you be celebrating or not? Also known as a cash balance pension plan, it looks a lot like a traditional pension plan where a team of investing professionals do all the work for you. You don’t invest any of your own money in the plan and you have no input into the investing choices. Pensions typically start paying out around age 65 but it could be as early as 55 depending on the company. In a cash balance plan, the benefit you receive from a pension is based on your total years of service and your salary over the past few years leading up to retirement. In a cash balance plan, your account receives an annual credit based on your salary each year. Expect an average of 5 percent plus a set interest rate based on your account balance. Also like a pension, your company will give you a statement showing your projected monthly income based on your current account balance. Another key difference is the portability feature. With a traditional pension, you don’t get to take the money with you if you leave your job. You’ll simply receive a payout when you reach retirement age. A cash balance plan allows you to take the money with you if you change companies. You will likely roll the funds into an IRA to avoid tax penalties but at least it’s yours to invest how you would like. If you’re a savvy investor, you’re probably thinking that cash balance plans sound like a mix between a traditional pension and a 401(k). You’re right—it is. The portability, the annual employer contribution are all key parts of a 401(k). Why would a company elect a cash balance plan over a traditional pension? You probably know the answer—because it saves money. One of the largest cost savings for the employer comes from that 5 percent contribution. Contributing to the accounts each year, instead of a fixed payout based on the last couple of years of service, is a potentially big costs savings for the employer but how about for you? If you’re a longtime employee of the company, unfortunately, you will likely see a lower payout—15 percent or more is common but that’s based on how the company sets up the account. 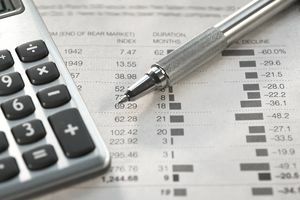 If you’re young and just entering the workforce, a cash balance plan instead of a 401(k) could be a better retirement plan since the annual contribution is usually higher than a 401(k), you don’t have to manage the funds, and if you change companies, you can move the money into a personal IRA. Most cash balance plans come with two types of payouts. You can choose to receive guaranteed monthly payouts in the form of a life annuity or receive a lump sum. IRS rules require annuities attached to retirement plans to meet certain requirements that usually make them better than an annuity you would purchase on your own. For example, outside of a pension or cash balance plan, insurance companies can pay a woman less than a man because they expect the woman to live longer. Because of anti-discrimination laws that govern company-sponsored retirement plans, men and women must be paid the same. Outside of discrimination laws, an annuity attached to a pension will perform better along with guaranteeing a steady income. If you choose to take a lump sum and invest it into an IRA, you risk losing a portion of your account balance due to market conditions. Don’t gain a false sense of security from your cash balance plan. Experts say that you’ll likely need additional income in the form of an IRA or 401(k) to retire comfortably. For that reason, it might be best to take the lump sum and reinvest once you reach retirement age but those decisions are best made with the help of a financial planner. Is there a chance you will have the choice between a 401(k) and a cash balance plan? That’s highly unlikely, but some companies offer a 401(k) along with a cash-balance plan and a few even match a percentage of your 401(k) contributions on top of your cash-balance plan. If your company offers a benefits package that good, plan to stay a long time.